Yum! I love frittatas!! Stopping by from the Just Something I Whipped Up link party. This sounds great and it is simple to make. Will be doing this for Sunday breakfast for the family. 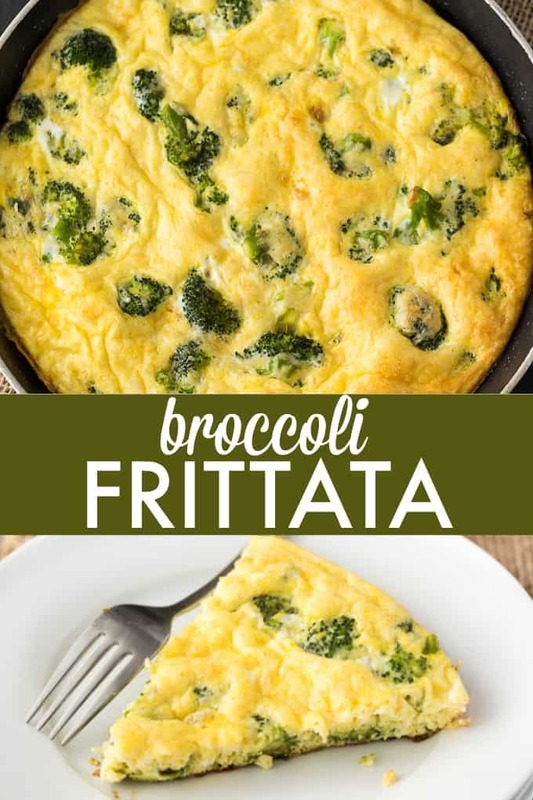 I have never tried Frittatas but, this looks great and easy to make. Wonderful recipies. 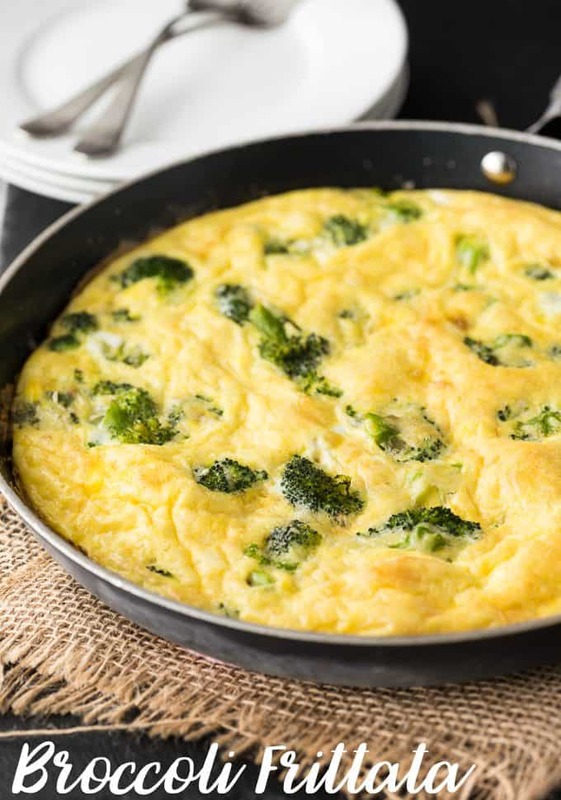 mmm never tried frittata but this looks fantastic and we are looking for healthier alternatives. This is a good way to incorporate some veggies into our diet 🙂 especially since I love broccoli! Never had a frittata before… is it similar to a quiche? This looks delicious. Pinned it and ready to try ! I have some broccoli in the fridge to use up so guess what we are having for dinner!!! Thanks Stacie. I just started a low carb diet a few weeks ago and this will be on my menu list. Pinning. 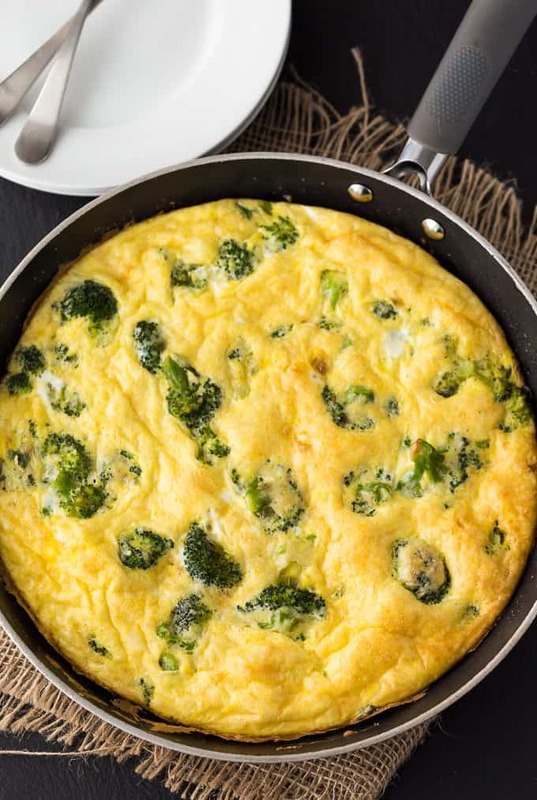 Love eggs and broccoli – it’s sounds so tasty! Pingback: Great Ideas -- 17 Easter Brunch Recipes! I’m getting hungry just looking at this beautiful frittata. Thanks for sharing with our Pretty Pintastic Party. My little daughter literally hates broccoli and I am not a fan either so I think I should give this a try because it seems delicious! Looking forward to trying this! 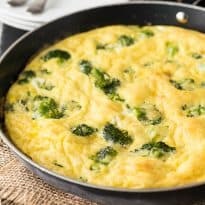 One question – the recipe says to wipe out the skillet but does not mention wether or not to add the green onions, garlic and red pepper flakes back into the other ingredients or if they are just meant to flavor the skillet and be tossed out. Can you clarify for me? Thanks! Thanks for pointing that out! I’ve updated the recipe. You add it to the broccoli.